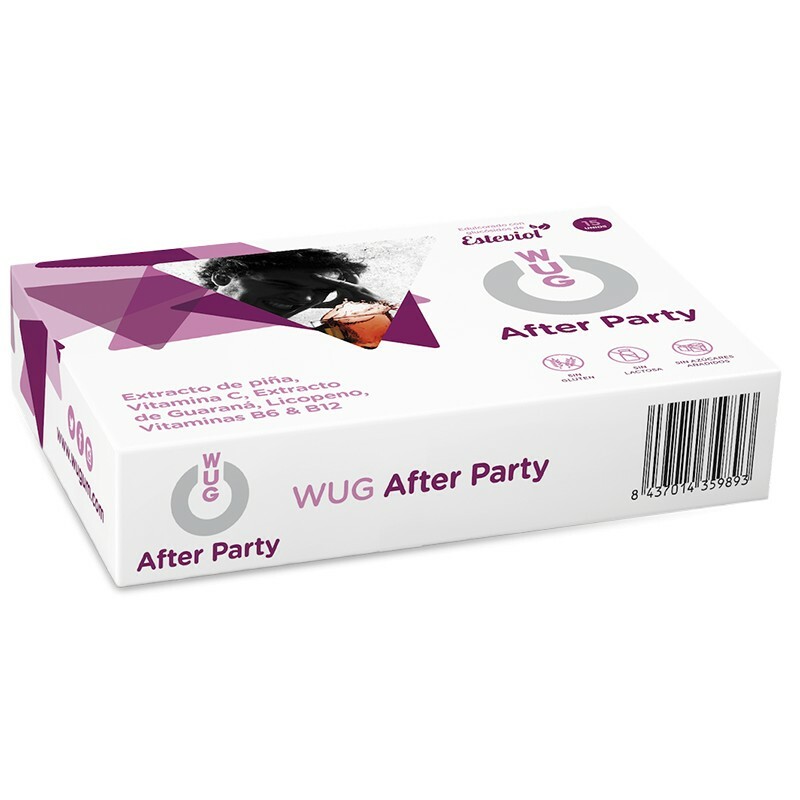 WUG After Party 15 units. - WUG Functional Gums S.L. > WUG HEALTH>WUG After Party 15 units. WUG After Party is made of natural plants and does not require water or digestion. It can be carried around anywhere and it only weights 2 grams. It is available in racks of packs of 15 units. 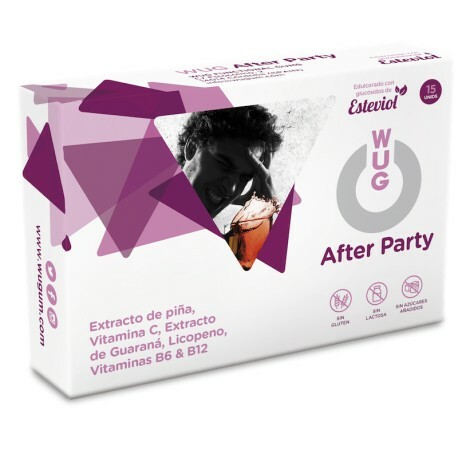 WUG After Party can be taken before and after alcohol intake. For people over 80 Kg of weight, two gums are recommended in order to achieve the required effect. 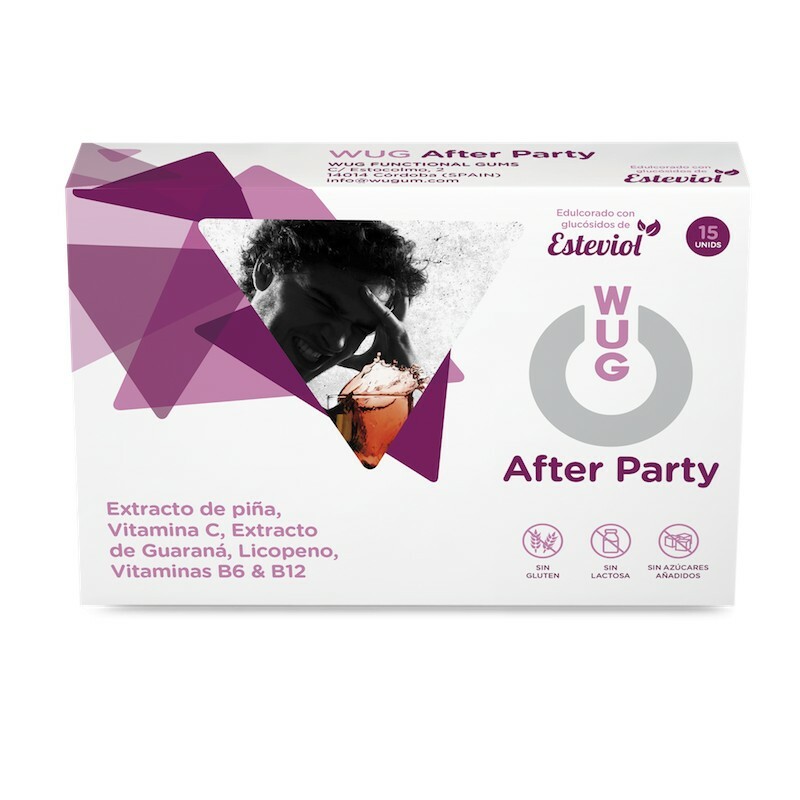 Benefits Intake of WUG After Party metabolises the toxins that are generated with alcohol intake, relieving the symptoms of hangover. Guarana Extract . Vitamin B6 . Vitamin B12 . Vitamin C . Lycopene Extract . Pineapple Extract. It is recommended to chew 1 gum before and after the ingestion of alcoholic beverages. People over 80 Kg of weight, can take two gums. Do not take more than 5 gums a day.